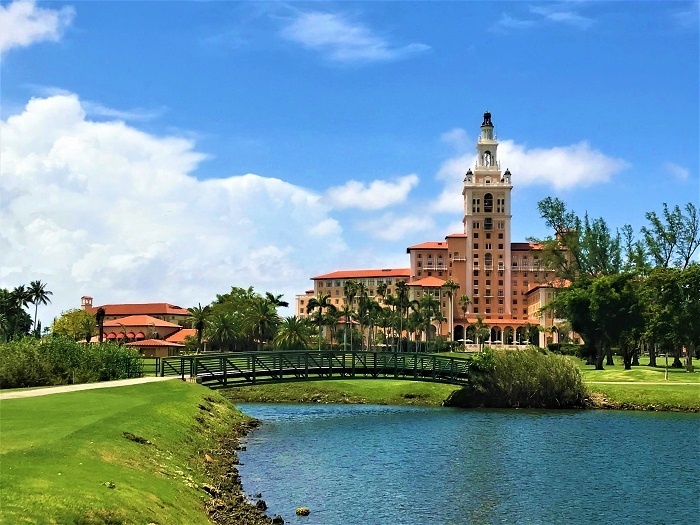 The iconic Biltmore Hotel, nestled in the heart of Coral Gables, has unveiled its $30 million restoration. The investment includes the redesign of the hotel’s guest rooms, corridors, main lobby and its European spa and fitness club. The Donald Ross Golf Course, home to the Jim McLean Golf School, has also unveiled an extensive restoration, transforming it into a PGA championship level course. The Biltmore is home to 271 newly renovated rooms and suites, featuring impressive Mediterranean architecture with classic Italian, Moorish, and Spanish influences spread over 150 acres of tropical landscape. Following a year-long renovation, the new guest rooms combine luxury with traditional elegance and feature panoramic views of the city skyline as well as the hotel’s unique pool and the expansive Golf Course. Rooms feature a collection of regal and vibrant colours, augmenting guests into a lavish yet serene paradise. Gemstone chandeliers, embroidered damask and couture fabrics are but some of the opulent new features, alongside original architectural blueprints and imported carpets. Situated on the seventh floor, featuring expansive views of Miami, the Biltmore Spa is a sanctuary for relaxation and rejuvenation, covering 12,000-square-feet, and including a Himalayan Salt Stone Sauna and Healing Steam Room. Ten flood-lit tennis courts lie adjacent to the now fully restored historic Biltmore Golf Course, an 18-hole, 71-par championship Golf Course designed by legendary golf course architect Donald Ross in 1925. The Biltmore is conveniently located just minutes from Downtown Coral Gables and the illustrious Miracle Mile, and a short drive from Downtown Miami and Miami Beach, among other Miami attractions.